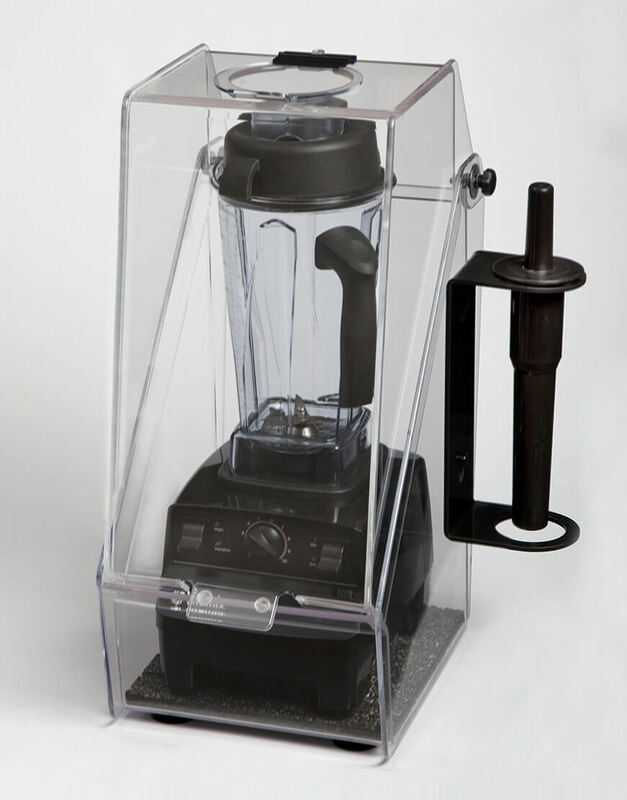 Tamper Holder Attachment is for use with Vitamix models. Tamper Holder Attachment is sold separately. 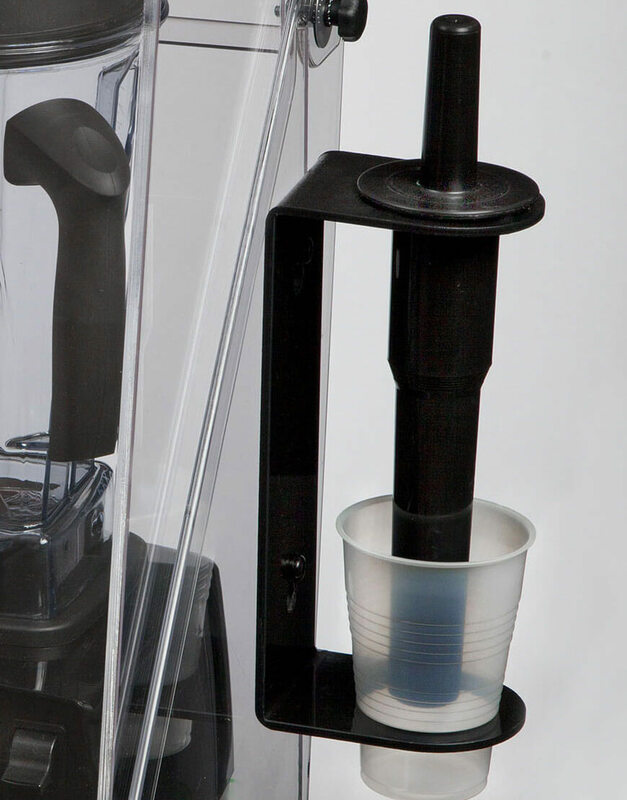 Each Whisper Blend unit is pre-drilled for attachment of the Tamper Holder on either the right or left side. Place a cup in the lower cutout to catch drips and keep your counters clean. Return policy: Subject to inspection, returned items will be assessed a 20% re-stocking charge. Return freight must paid by the customer. The item must be returned in its original packaging. The re-stocking fee includes the costs of opening, inspecting, cleaning and repackaging the item. For shipping costs to Alaska, Hawaii, and international destinations, please contact us. Copyright 2019 Crown Plastics inc. All Rights Reserved.